For those of you who are new to New Eden, EVE Vegas is a massive EVE Online player gathering in Las Vegas. This year, EVE Vegas is takes place shortly after the launch of EVE: Valkyrie – Warzone. We’ll be sending a few brave Valkyrie, CCP Roo, CCP Bosun and CCP Redcape, to show and tell you about the Warzone expansion. Without further ado, here’s what EVE Online and freshly minted Valkyrie pilots can look forward to from CCP Newcastle at EVE Vegas 2017. At Fanfest 2017 we started conversations about the evolution of Valkyrie. With the release of the Warzone expansion we will have delivered some incredible new features, and radically improved the core game in terms of quality and accessibility. 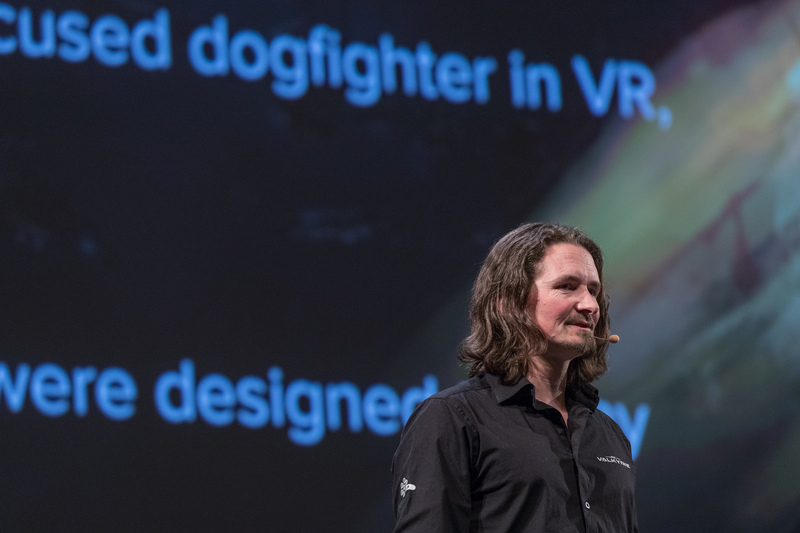 This talk will delve into on that journey and provide some insights into bringing Valkyrie to PC and PS4 without the need for a VR headset, radically overhauling a fleet of ships and preparing the game for a new audience using mouse and keyboard. 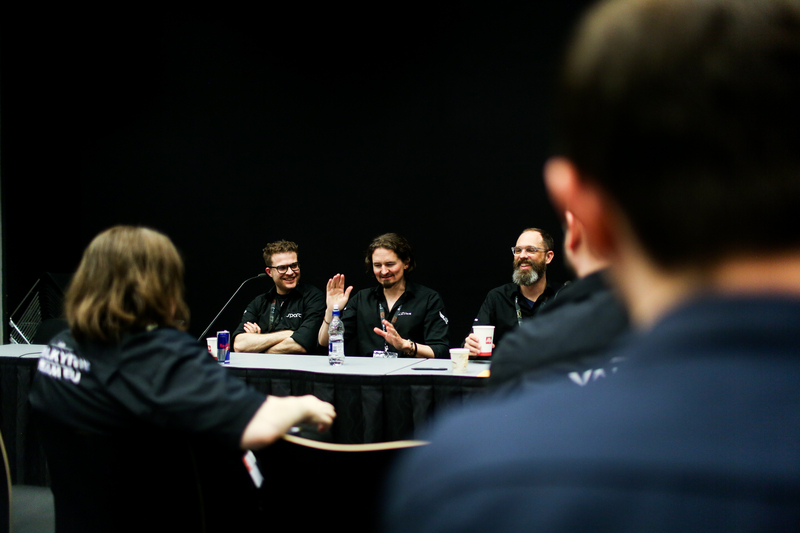 Above all, the talk will cover how the lore of EVE Online and EVE: Valkyrie connect with one another, as well as peering into the game's future, which will include the introduction of community social tools, something that the EVE Online community utilise beautifully. A deeper dive into the development of the Warzone expansion and a chance to discuss the roadmap ahead. This open session will allow for discussions on what social tools and features are needed for the future of Valkyrie, and how we can empower our pilots to create and share amazing content. 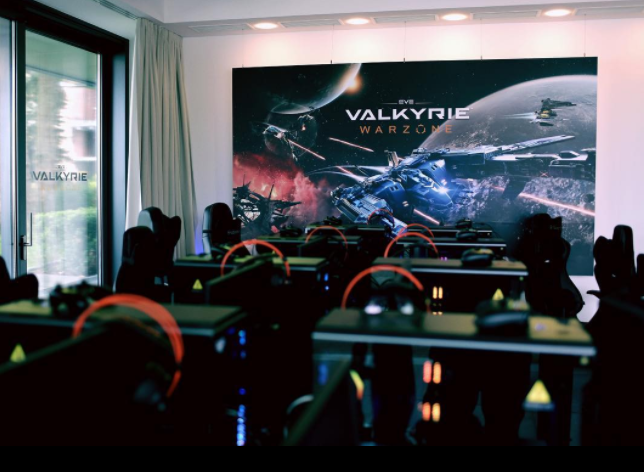 This event offers us a unique opportunity to show Warzone to the EVE Online community, we’re delighted to be able to offer hands on with EVE: Valkyrie – Warzone to all attendees. As always, CCP Roo, CCP Bosun and CCP Redcape will raise a glass to the Valkyrie from 5-6 at the Margaritaville bar, pre pub crawl. Feel free to join us for war stories, casual chat and (dis)organised fun! We will be unveiling the brand-new player made EVE: Valkyrie Community playing card deck. For a look behind the scenes at this project check it out here. We're delighed to offer an exclusive Warzone Viking Tumbler to those who wish to purchase it in the EVE Store at the event. This tumbler will be available for purchase on the online eve store later in the year.